During late 2017 we've seen good (The Tick), bad (Inhumans), and so-so (The Defenders) superhero shows. By comparison, Fox's 'The Gifted' is a lot better than it should be. Having the benefit of premiering three days after ABC's much-maligned Inhumans, 'The Gifted' looks like a well-oiled machine by merely being competently produced. If you've ever picked up an X-Men comic book, watched an X-Men cartoon or film, the premise of 'The Gifted' will be easily accessible and familiar. In a world that fears and persecutes mutants, people with activated X-genes that ignite their special powers must hide to avoid capture by nefarious government agencies who arrest them "for their own safety." Such is the case for the Strucker kids, Lauren (Natalie Alyn Lind) and Andy (Percy Hynes White). Their powers become exposed during a high school dance where Andy predictably gets bullied into a rage unleashing his destructive abilities. Lauren uses her powers to get him out of there and the two have to explain what happened to their parents. Reed (Stephen Moyer) just so happens to be a prosecutor of mutants so when a distraught Caitlin (Amy Acker) calls after the kids come out as mutants and the evil Sentinel Services come knocking at the door the chase is on. Reed uses his connections to contact Eclipse/Marcos Diaz (Sean Teale, playing a new character reminiscent of the comics' Sunspot) who leads a mutant underground group that includes John Proudstar/Thunderbird (Blair Redford), Clarice Fong/Blink (Jamie Chung), and Lorna Dane/Polaris (Emma Dumont) to help his family. The pilot episode is fast-paced and slickly produced. It helps that Bryan Singer (X-Men, X2) directs and keeps Fox's rights to mutant lore alive and well. It's not as great or as imaginative as FX's 'Legion' but it doesn't have to be. It just has to be competent in its execution with a talented cast that is earnest and convincing. Acker and Moyer need more to do than just be a frazzled mother and stoic dad. They're capable of so much more it would be a shame to underuse their talents. Hopefully, the rest of the season will broaden their emotional range and dig deeper into the subtext of mutant prejudice. 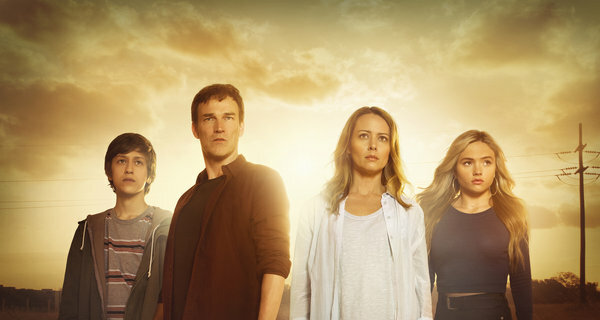 'The Gifted' isn't breaking new ground in the superhero television genre but it is providing a worthwhile escape with familiar themes and circumstances. It's comfort food for fans who like what the X-Men universe has to offer. With an engaging cast, decent production values, a mix of practical and computer-generated effects, and a promising pilot, 'The Gifted' is off to the right start. CAST: Stephen Moyer, Amy Acker, Sean Teale, Jaime Chung, Coby Bell, Emma Dumont, Blair Redford, Natalie Alyn Lind, Percy Hynes White. Catch new episodes every MON at 9/8c on FOX!